Collaborative Couple Therapy is rooted in Bernard Apfelbaum’s Ego Analysis—as I think will become clear when reading this piece. Bernie, who was my mentor, died on July 5, 2016. Some of us who have been deeply influenced by him are thinking of putting together a Wikipedia piece on ego analysis. In this effort, I wrote the following, which represents my understanding of Bernie’s theory. For Bernie’s own writings on his approach see https://egoanalysisessays.wordpress.com/. Ego Analysis is a form of psychodynamic reasoning in which psychological problems are viewed as developing principally out of clients’ sense of unentitlement to their emotional experience—to the shame, guilt, self-hate, unease, or fear they have about certain of the thoughts and feelings passing through them. Depending upon their particular culture, subculture, family, and personal experience, clients feel okay about some of the thoughts and feelings passing through them and not okay about others. They may be unable to grasp and may even lack words for still others. 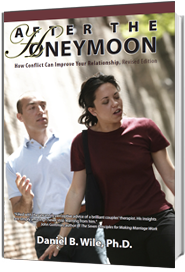 A thought or feeling clients experience as acceptable, even honorable, at one moment, context, mood, frame of mind, or cultural or subgroup setting may feel unacceptable at another—as inappropriate, weak, wimpy, needy, selfish, childish, sinful, crazy, unmanly, unfeminine, unsophisticated, boastful, pretentious. The focus in ego analytic therapy is on the relationship people have with themselves about their thoughts and feelings and also—and especially—about their problems. “Trying not to have problems causes them,” Bernard Apfelbaum said, “and being able to have problems solves them.” By that he means that our distress with ourselves for having the problem and the contortions we go through in our efforts to brush off the problem or to force a solution exacerbate the difficulty. A particularly insidious and undermining aspect of being depressed is self-hate (depression) about being depressed: being down on yourself for being down. “Being able to have the problem” means having sufficient self-compassion to be able to accept (or even embrace) rather than reject that problematic part of your experience. Such accepting or embracing is the optimal frame of mind from which to approach the problem. When people feel unentitled to their experience—when that is the relationship they have with themselves at the moment—they typically operate at a disadvantage in dealing with the immediate situation and behave in unappealing ways. We consider people who offend us by hogging the stage without regard to the sensitivities of others as narcissistic—as getting a lot at the expense of others. Their problem, from an ego-analytic perspective, is that it’s hard for them to hold onto a good feeling about themselves. When they’re not the center of attention—feeling seen by others as impressive, intriguing, and special—they feel unimportant, insignificant, and inadequate. In addition, they may feel empty, lost, lonely, impaired, a failure, or a loser. Many are caught in a vicious circle, what Paul Wachtel calls cyclical psychodynamics. A narcissistic man’s boorish behavior offends others, which gives him evidence of being a failure, a perception that increases his need to boast. 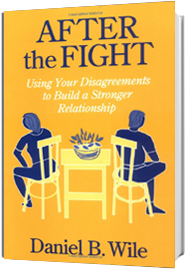 We consider people who offend us by acting in clingy and needy ways as dependent. From an ego-analytic point of view, the problem is that such people are ineffectively dependent, that is, they are not good at it. They do not inspire in us a wish to comfort, reassure, prize, pamper, praise, attend to, engage with, and take care of them. If they were good at being dependent—if they were more effectively dependent—we might feel more inspired to do these things, and even enjoy the opportunity to do so. Paul Wachtel’s cyclical psychodynamics is in operation here, too. Recognizing that their partners see them as clingy and burdensome, they feel unloved, unlovable, rejected, unnourished, lonely, and in increasingly greater need of reassurance. When in the presence of people who act in “passive-aggressive” ways, we feel controlled and provoked. We conclude that these individuals are angry and manipulative. Our emphasis is on the “aggressive.” From an ego-analytic point of view, focused as it is on clients’ relationship with themselves about their feelings, the emphasis is on the “passive.” We see these individuals as unable to express everyday wishes, needs, concerns, objections, and complaints. That is, they’re unable to stand up for themselves. Accordingly, they are reduced to expressing themselves in indirect ways that come across to others as manipulative, calculating, sneaky, and controlling. Far from being in control, they lack the control anyone would need to feel comfortable in and deal effectively with everyday life situations. Such control requires being able to give direct expression to wishes, needs, and concerns. Ego-analytic therapy begins with this recognition of how easy it is to draw conclusions about our clients based on the effects their behavior has on us. We lose track of their inner struggle. We stop listening and start judging and fall back on the morally-tinged, judgmental language of our culture (or a professional version of it). We view clients as selfish (narcissistic), lazy (unmotivated), cowardly (unwilling to take risks), immature (undifferentiated), codependent (symbiotic), and so on. We step back in negative judgment rather than appreciate the person’s inner struggle. Could this person privately be criticizing themselves for the very thing for which I feel disapproving? Do other people respond to this person in the way I do? If so, could that be a major reason for this person’s troubles? Could this person be caught in a vicious circle in which s/he creates in others the very reaction s/he is trying to avoid? What must this person be feeling—what must s/he be struggling with—to act in this way, a struggle that, if I were to know what it is, might get me empathizing with rather than criticizing him/her? So perceptive and humane! “… our distress with ourselves for having the problem and the contortions we go through in our efforts to brush off the problem or to force a solution exacerbate the difficulty.” That really resonates with me right now. I don’t have to be smooth. I find it enjoyably eye-opening the way you illuminate the paradoxes in our struggles. I’m sorry for you loss of a wonderful mentor. Dan: I really like this description of ego analysis–especially that you emphasize the central idea that we suffer from feeling unentitled to our thoughts and feelings about our problems. And, as Bernie might add, “The interpretations can be most helpful when they identify thoughts and feelings ABOUT thoughts and feelings.” The one thing I believe could be added is the idea “all symptoms are loss of voice”. When I have given presentations on ego analysis, two phrases that get people sitting up in their seats are that one and the idea that we are helping the patient “find words for” thoughts and feelings that they do not have. One other thing, I use the phrase loss of voice because I believe that is how you frame it in your writings. However, I think the phrase loss of voice needs to be clariified for therapists that it can also be LACK of voice. The distinction is important to me because sometimes patients haven’t lost their voice because that assumes that they had it in the first place to lose. Oftentimes our interpretations give them words for something that strikes them instantly as correct and relieving because it is something they never thought before. You do use the word “lack” in this description of ego analysis but I think it could be developed one step more. I do really like this version that you have just written. It really brings home what goes on in the patient and therapist. Al. What a clear and cogent description of Bernie’s theory. Wikipedia will be lucky to have it. Another great post. I totally agree that many people feel undeserving and not entitled to receive what they want, in ordinary language they “have trouble asking for things.” Instead they do things that make matters worse, as you pointed out. I would add “nagging” and “whining” to your list. Unable to simply ask, “Please pass the salt,” they say off-putting, criticisms like, “You never do what I want you to do. You’re so thoughtless!” which makes their partners still less likely to give them what they want, AND tends to confirm them in their (transference) fear/belief that others don’t care and won’t give you what you want!! Hi Dan, thanks for this very clear and helpful summary of ego analysis. In the second paragraph, you say “psychological problems are viewed as developing principally out of clients’ sense of unentitlement to their emotional experience—to the shame, guilt, self-hate, unease, or fear they have about certain of the thoughts and feelings passing through them.” It seems to me that the problems begin with the sense of unentitlement to the feelings passing through them, and that the shame, guilt, self-hate etc. are responses to that sense of unentitlement about the basic feelings (I think this is just a quibble about language). As you say at the very end of the post, many of our clients think that the feelings they feel unentitled to (e.g., wanting to be the center of attention, wanting to be comforted, and wanting to assert their needs) are very bad, and very idiosyncratic, and they feel very ashamed of having them. I am grateful to your clear and entertaining writing for making this side of psychotherapy so evident to me. Director, places cushion in chair, and replays those words. She then has a conversation with her mother in heaven and fully addresses the different philosophy she has from her mother, who has left every relationship that she’d ever had. She asked he mother to accept her and pray for her. Mother agreed. In effect I did something like CCT with Her and her mother while He was in the audience. His presence means this is therapeutic for him as he learns that she has introjected her mothers ideas, and it is not all about him. Also she has been witnessed by him, not just by me. I guess that CCT is also a step on from what you learned from Bernie? As you double each partner you are in effect doing ego analysis. 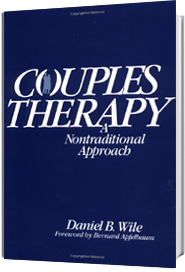 Did Apfelbaum also do couple therapy? Great piece. It’s nice to see in Bernie the roots of some of your thinking, and also to think about the ways in which you have creatively extended ego analysis. I love “trying not to have problems causes them…and being able to have problems solves them.” For me this recalls Carl Rogers’ “what I am is good enough, if I can only be it openly.” You mention three things to ask ourselves in response to clients’ challenging behaviors. Paraphrasing you, I’ve trained myself to ask silently: “what is their inner struggle from which this challenging behavior emerges that, were someone to help them put it into words, would get almost anyone listening empathizing with them and on their side, and possibly in tears?” Thanks for another great blog. One final comment: I love how you have referred to this approach as (paraphrased) the-inner-struggle-as-opposed-to-character-flaws focus. I like the article and also Al’s and other additions and responses. Somewhere in the article I would add that Ego Analysis is an approach to interpretation, not only a form of psychodynamic reasoning. I’m not sure if this is the first of more than one article on Ego Analysis, but a second one would automatically follow: i.e. how does a clinician use the “form of psychodynamic reasoning” that you’ve described so nicely to relieve the patient of shame, self-hate, etc. What is the EA approach and why is it a new paradigm? I don’t know if this is new to you, but I think it sums up Bernie’s approach. He told a story of Proust who, reportedly, would bring a picture of his mother when he was with a prostitute. Bernie explained that there were two ways to look at that. 1. What a sick guy who is so sick that he brings a picture of his mother to a prostitute, 2. He was aware of what he needed to get turned on or to feel comfortable and felt free to do it. It seemed to very well to explain Bernie’s approach. Either you get condemned for being weird, or you are able to get your needs met in whatever way works for you. Bernie’s message was we shouldn’t go around criticizing people for being weird. They already criticize themselves, as do their peers. People need to feel free to get what they need. Psychotherapists shouldn’t be just another member of the mob who judges people who are different and who wish they weren’t. When Bernie told me the story I think the key was that Proust could do that without feeling guilty about it–and in that way, totally enjoy his experience.